AT&T has given Eastern Kentucky University $25,000 to explore the application of mobile technology for rural newspapers and develop a working model "that improves both audience reach and content richness," a university news release said. The year-long project will start with a survey of current best practices and an effort to reduce the environmental impact of mobile technology while seeking "improved sustainability of capital and human resources," the release said. Researchers will work with the staff of The Eastern Progress, the campus weekly, to apply the model. The third phase will be a workshop for editors in the university's 22-county service region to present guidelines for applying the model. In the state that once had the highest immunization rate, Vermont's medical community is not so proud of anymore. Fewer people are vaccinating their children in the nation’s most rural state, reports Dr. Wendy Mahoney, a private practioner in the state. But Vermont isn't alone. Stories about declining immunization have come in from across rural America, Mahoney writes in the Daily Yonder, and they "come in the midst of a pertussis outbreak the likes of which Vermont has not seen in years, if ever." 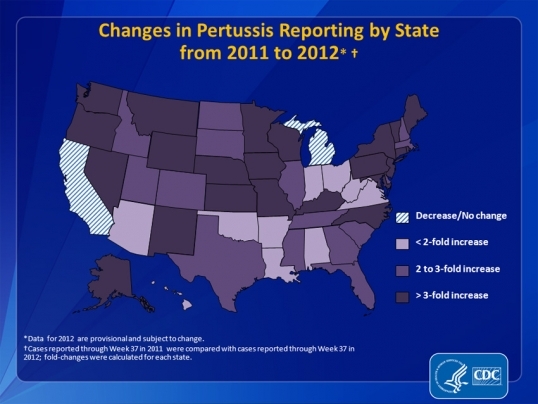 Pertussis is whooping cough. Mahoney says she can find one reason for the recent outbreak: a new law in her state, like some in other rural states, that allows parents to exempt their children from required vaccinations "because of a personal, moral, or other belief." Mahoney says many rural residents use the exemption, which she finds hard to fathom in the face of scientific advances that prove that vaccination has ended smallpox, wiped out polio in most of the world, and controlled measles, rubella, tetanus, diphtheria, influenza type b and other infectious diseases. 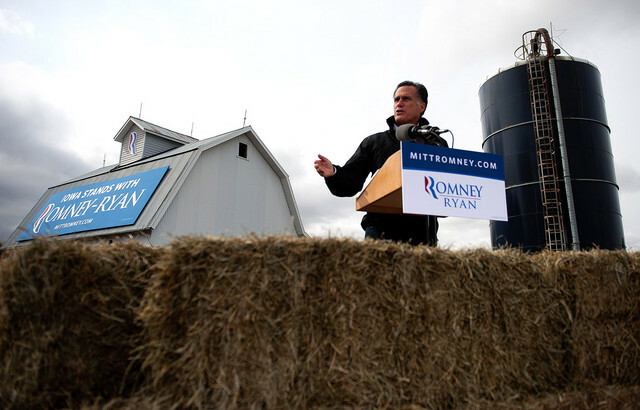 In order to offset the urban electoral advantage of President Obama, Republican challenger Mitt Romney will need heavy voter turnout in the small towns and rural areas of Iowa, Ohio, Virginia and Wisconsin, Steffen Schmidt, a political science professor at Iowa State University in Ames, told Bloomberg Businessweek. A poll of rural voters last week by the Center for Rural Strategies in Whitesburg, Ky., has Romney ahead by 22 percentage points in non-metro areas of nine states where the race is close. The new rural numbers go far in explaining why the presidential race is in a virtual tie now. Bill Bishop of the Daily Yonder found this piece most effective: "The most important law passed during the last four years for coal miners ... may be one of the most unpopular in rural West Virginia, Virginia and Kentucky. It’s the Affordable Care Act (aka Obamacare) and within that law are benefits coal miners have been seeking for the past 30 years." Before he died in 2010, Sen. Robert Byrd of West Virginia inserted a provision into the health-reform law saying that if a person had worked in an underground mine for at least 15 years and suffered from the effects of black lung (coal workers' pneumoconosis) , coal dust was the presumed cause of the problem and the miner was due benefits. In the past, explains Bishop, "X-rays would be taken of ailing lungs and doctors would try to discern if coal dust were the cause. Because coal companies would appeal judgments and it is hard to tell from an x-ray if damage has been done by smoking or coal dust, ... only about 15 percent of the miners who applied for benefits received them." Earlier this month, the EU notified Mexican and Canadian horsemeat plants they couldn't export to Europe unless the horses had been in the country where they were slaughtered for a minimum of 90 days. "Within three months, we would have had some 48,000 head of horses with nowhere to go," Wallis told Harker. 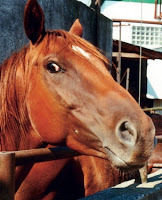 Cheryl Hanna of Examiner.com reported the suspension was announced one day after the release of a European Commission Directorate General for Health and Consumers report saying "Veterinary records for horses are 'insufficient' to guarantee health standards relating to the European Union's concerns about U.S. horses' medication histories." The EU will require lifetime medication records for slaughtered horses by July 31, 2013, she reports. Survey of rural bankers shows improvement of economic conditions in Central U.S.
After a three-month slump, the Rural Mainstreet Index of economic conditions in a 10-state area of the Central U.S. has started to climb. The Creighton University survey of bank CEOs shows the rural economy above "growth neutral" for the first time since June. Lead researchers Ernie Goss said in the October RMI report, "Negative impacts of the drought are being more than offset by the positives of very strong incomes from high agriculture and energy prices." Farmland prices and farm equipment sales surged, notes Julie Harker of Brownfield Agriculture News. Only18 percent of bankers surveyed said 2012 crop yields in their areas are higher than last year, and almost 70 percent are lower. Hiring increased, but "at a snail's pace," Goss reported, and the index of bankers' confidence in the economy for the next six months was up from September, but is still weak. The RMI ranges between 0 and 100, with 50 being growth neutral. October's survey places the index at 56.6, notes the Hamburg Reporter, in Iowa's southwestern corner. The farmland-price index reached 71.7, its highest mark since March. October is the 33rd consecutive month that it has risen. "Loan demand unexpectedly plummeted for the month," the Reporter notes. It dropped to 44.2 from September's mark of 70.2. Goss wrote in the report that the drought "failed to increase the demand for loans from farming and nonfarming organizations in the region." The Reporter lists the RMI for individual states: Colorado, Illinois, Iowa, Kansas, Minnesota, Missouri, Nebraska, the Dakotas and Wyoming. Despite this summer's oppressive drought, farmland values are still soaring. Purdue University Extension agricultural economist Craig Dobbins told Agri-Pulse that at least two factors are at play: the drought is seen as a one-year event, with next year expected to be better, and crop insurance helped mitigate many farmers' losses. Land values are increasing by double digits in some areas mostly because farm income is high and farmers love to buy land. The average farmland value increase ranged from a 26.7 percent increase in the Northern Plains to a 4.1 decline in the Southeast, according to the U.S. Department of Agriculture. The Corn Belt has the highest values, with land selling at about $5,560 an acre. The continued increase in land value could be "a double-edged sword," Dobbins told Agri-Pulse, because it could prevent non-farmers from entering the industry. "For someone who is not in the farming business, it is going to be more difficult to get in and you are going to have to do it in some way that has not traditionally been done," Dobbins said. "You are going to need to be a clever entrepreneur, or very rich. It's not going to be impossible, but it is going to be extremely difficult." Agri-Pulse is a weekly, Washington-based newsletter available by subscription; a free, four-week trial can be accessed here. 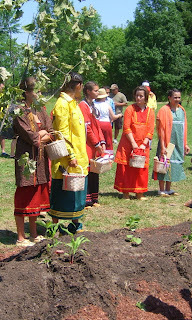 The Anishinaabe Tribe lives on the Aamjiwnaang reservation east of Michigan's "thumb" across the St. Clair River near Sarnia, Ontario. The area is known as Chemical Valley because it's home to 62 industrial facilities, about 40 percent of Canada's chemical industry. Benzene, cadmium, formaldehyde and lead "permeate the reservation," Bienkowski writes. The tribe considers the cedar tree sacred. They use it medicine, teas and in ceremonies. But when a private lab found elevated levels of cadmium in reservation cedars in 2006, the tribe stopped using them to evoke their cultural traditions. The St. Lawrence River runs through the Mohawk Nation at Akwesasne, also in southern Ontario, on its way to the Atlantic Ocean, and has provided the tribe with water, food and identity for centuries, Bienkowski reports. In the early 1980s, the river was polluted with polychlorinated biphenyls, PCBs, from upstream aluminum foundries, contaminating the water, fish and people. "But there's an impact that blood tests can't measure," Bienkowski writes. "The relationships and experiences that took place on the river are now endangered as the community avoids it out of fear." The Tewa Pueblo in New Mexico are dealing with contamination from uranium mining. "Animals have died off or left, the water is no good. This is not the world that we know and rely on," tribe member Kathy Sanchez told Bienkowski. "It's contaminated our culture." 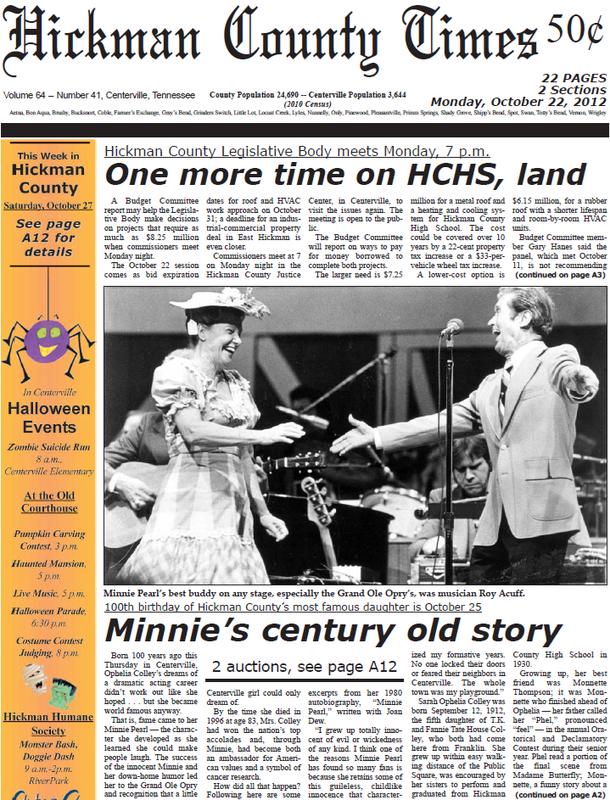 Last week, with an item about a newcomers' feature in the Hickman County Times of Centerville, Tenn., we ran a photo of the model of a statue of Minnie Pearl, to be placed at the old courthouse in her native county. 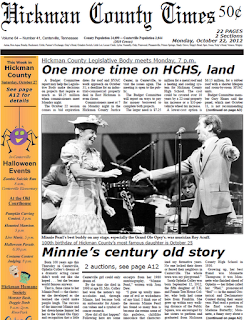 Today would have been the rural comedian's 100th birthday, and the Times noted it in this week's paper, with a story about how Sarah Ophelia Colley Cannon became Minnie Pearl of Grinders Switch, and a photo of her with Roy Acuff at the Grand Ole Opry. The paper also promoted two auctions being held in conjunction with the anniversary, to raise money for the statue (which would replace one removed by a dissatisfied donor) and make the courthouse a cultural arts center. A radio auction on KIX-96 FM runs until 8 p.m. CDT. To get a list of items and make a bid, call 931-729-2900. Also ending tonight is The Pearl On-Line Art Auction, with 160 items created by local artists. For details, go to www.ThePearlAuction.com. 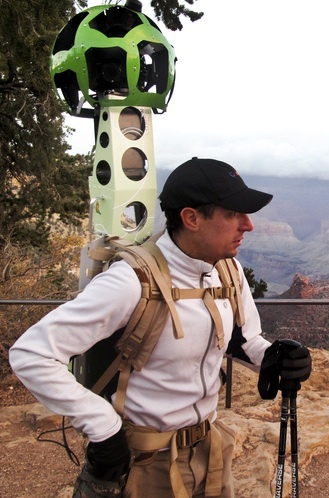 Google Trekker's inaugural journey was into the Grand Canyon. It snapped pictures and collected Global Positioning System data with its 15 specially designed lenses and two GPS receivers. Google plans to map places its cars can't go, and Street View director Luc Vincent said they came to the Grand Canyon first because it is "iconic," Steve Henn of NPR reports. 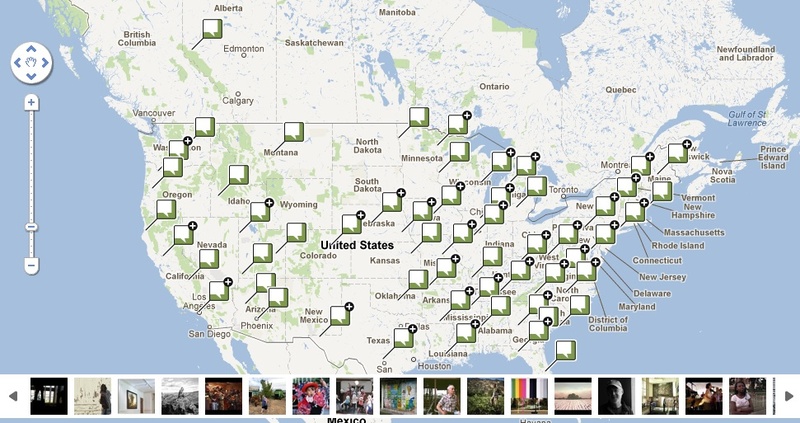 Each image collected will be tagged with precise location data and the angle at which the photo was taken. Vincent said data has to be precise because Trekker is going to places where GPS is sometimes not reliable. Republican critics of the Supplemental Nutrition Assistance Program, or food stamps, have become more vocal, with many calling for severing the long-connected ties between it and farm programs in the Farm Bill, Agri-Pulse reports. The move would make it harder to maintain farm subsidies, so it seems unlikely to go anywhere. But at a time when all federal programs and the control of Congress and teh White House are up for grabs, Agri-Pulse asks an important question: Would it be possible, in a House "dominated by urban dwellers, to find 218 votes for passing a bill devoted only to helping farmers?" Until the 1960s, farm bills were mostly devoted to the commodity title. But when Congress became increasingly urban and suburban, farm-state representatives folded food stamps into farm policy to win majorities, Agri-Pulse reports. "Ever since inception of food program, there's always been a linkage between farm products and food assistance," said Roger Szemraj, agriculture and nutrition expert at OFW Law, a Washington firm. Because there are fewer farmers and fewer congressional districts in rural areas, he said, the food-stamp portion of the Farm Bill gives urban representatives a reason to support the legislation. House Agriculture Committee Chairman Frank Lucas, R-Okla., told Agri-Pulse this summer that it would be hard to pass a bill only about farming without SNAP attached to it because it wouldn't get enough votes. In 2005, the rate of rural uninsured wasn't much different than the rate of uninsured in cities or exurban counties, which are part of metropolitan regions, but where most residents live in rural settings, but in 2010 most rural counties exceeded the national average of 17.7 percent. The overall rural rate is 18.4 percent. The U.S. Postal Service's deal with a junk-mail company is a scandal, Washington Post editorial writer Charles Lane opines in his latest column. The advertisements "already reach consumers via newspaper inserts," Lane writes. "What the deal would do is alter the national flow of advertising, to the financial detriment of newspapers like the one you may be holding. Struggling print media need this like a hole in the head." Noting that newspaper interests have sued to block the deal, Lane noted, "This gives me a conflict of interest, of course. Still, even people who don’t draw a newspaper paycheck should be able to appreciate what’s wrong here." Leaders in four Kentucky counties are lauding the creation of private endowments for their counties through the help of a regional community foundation. The judge-executives of Boyle, Garrard, Lincoln and Mercer counties said the endowments "will help meet the requests from non-profit agencies, for scholarships or funding for the arts, education, or health and human services," Greg Kocher of the Lexington Herald-Leader reports. 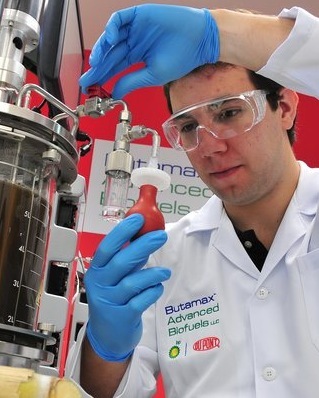 A new study concludes that commercial agriculture can shed much or all of its chemical consumption in favor of more natural and organic processes without losing any crop yield or profit. In fact, the nine-year Iowa State University study shows that more organic processes produced more corn and soybeans. Beginning in 2003, researchers planted three plots: one replicating the conventional method of planting corn one year and soybeans the next, adding a routine mix of fertilizing chemicals; another using a three-year cycle that included planting oats; and one using a four-year cycle and planting alfalfa, along with integration of raising livestock, manure from which was used as fertilizer. Not only did the longer rotations produce better crops, they also "reduced the need for nitrogen fertilizer and herbicides by up to 88 percent, reduced the amount of toxins in groundwater 200-fold and didn't reduce profits by a single cent," Mark Bittman of The New York Times writes. "In short, there was only upside -- and no downside at all -- associated with the longer rotations," he continues. There was an increase in labor costs, but Bittman counters that profits remained stable. 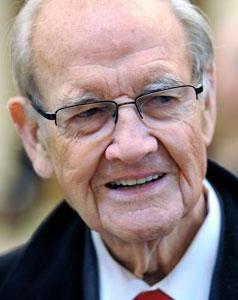 Seth Tupper, editor of The Daily Republic in Mitchell, writes that McGovern's "popular image . 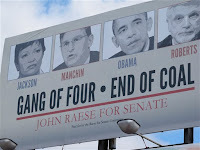 . . is that of a hopeless liberal, too radical to win even his home state in the 1972 presidential election. "The worldview that George McGovern brought to more than half a century of public life was shaped by witnessing privation on the farm during the Great Depression and hunger in Italy during his service as a decorated bomber pilot in World War II," writes Jim Webster in Agri-Pulse. Webster was on the staff of McGovern's 1968 Senate and 1972 presidential campaigns, where he was head of Rural Americans for McGovern-Shriver. Webster says McGovern's "Real legacy is his contribution to food and nutrition policy, especially overseas food aid and agricultural development." Agri-Pulse is available by subscription only, but a free trial can be found here. According to Central Appalachian coal operators, and many of the miners who work for them, there's a war on in America, and electing a new president will end it, writes Vicki Smith, West Virginia reporter for The Associated Press, in a 2,500-word story that compares the political rhetoric to the facts and looks to the future. "The war on coal is a sound bite and headline, perpetuated by pundits, power companies and public relations consultants who have crafted a neat label for a complex set of realities, one that compels people to choose sides," Smith writes. "It’s easier to call the geologic, market and environmental forces reshaping coal — cheap natural gas, harder-to-mine coal seams, slowing economies — some kind of political or cultural 'war' than to acknowledge the world is changing, and leaving some people behind." Noting that there was a real war over coal in West Virginia almost 100 years ago, when federal troops put down rebellious miners, Smith writes, "To hear the industry tell it, those who remain are an endangered species in the cross-hairs of overzealous environmental regulators directly responsible for wiping out thousands of jobs. But in war, casualties are often inflated. The numbers are eye-catching, but the details are lost." Smith notes that many miners find jobs at other mines, and U.S. Department of Labor data show that coal jobs have grown in Central Appalachia since 2008, with consistent gains in West Virginia and southwest Virginia, and ups and downs in Kentucky. But the prospect of a second term for President Obama, whose administration has tried to be tougher on coal, has set off alarm bells in the region. Coal executives appear to have convinced miners they are fighting for their way of life, and "war sells because fear sells," Smith writes. Georgetown University linguistics professor Deborah Tannen told Smith that wars on anything -- coal, women, drugs -- are emotionally charged metaphors that take over political discourse. For politicians, war is about "destroying the opposition so they can get the power back. For media, it's about grabbing the attention of an easily distracted public. The more polarizing the voices, the more entertaining the story." But she says such language contributes nothing to real understanding, and "has a corrosive effect on the human spirit." The election aside, the language has been somewhat softer. 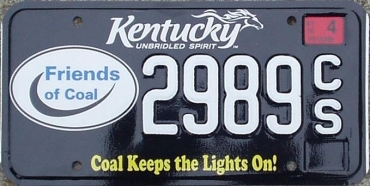 Kentucky Coal Association President Bill Bissett brought with him from West Virginia the "Friends of Coal" campaign, which is promoted by more than 55,000 license plates in a state that also lies in the Illinois Basin coalfield. "Instead of seeing the industry as faceless men in suits, they see the pickups next to them at the supermarket parking lot, the tags instantly identifying the like-minded," Smith reports. Meanwhile, Mason Adams of The Roanoke Times reported a similar story. Southwest Virginia's coal economy is declining because of "numerous challenges: a less expensive competitor in natural gas; a worldwide slump in coal used in making steel; and rising costs from federal clean air and water regulations." But, Adams writes, in the region's perception, coal has but one enemy: the federal government. "Asian economies, hungry for coal, stand to gain from a U.S. program meant to keep domestic power cheap and abundant," reports Patrick Rucker of Reuters. Mining companies pay the U.S. government to mine federally owned land in the Powder River Basin in Wyoming and Montana. "Selling that coal cheap at a time of increasing exports across the Pacific could amount to a U.S. taxpayer subsidy for industrial rivals like China," Rucker writes. Coal exports have increased since 2009, and could reach record highs this year, as companies including Peabody Energy and Arch Coal Inc. rush to sell surplus coal overseas "in deals that can double or triple their margins," Rucker reports. "If [companies] can find ports to reach Asian markets easily, it could mean hundreds of millions of dollars in additional profits and marginally lower coal prices for countries in those markets." Some Pacific Coast towns are fighting efforts to establish and expand coal ports, Lorna Thackeray of the Billings Gazette reports. Many scientists have said that this summer's drought may become the norm for the U.S. as climate change contributes to massive droughts. This could have a devastating affect on the nation's crops, as witnessed this summer, and has already started moving corn production north. Extreme drought could also have a huge impact on U.S. forests, as one University of Tennessee researcher concluded in an article published this month in Nature Climate Change. By analyzing tree ring data from the year 1000 to 2007, researcher Henri Grissino-Mayer, left, and a team of scientists from Los Alamos National Laboratory, the U.S. Geological Survey, the University of Arizona and Columbia University have evaluated how drought affects the productivity and survival of confer trees in the Southwest. Trees grow slowly during drought and will produce smaller rings as a result. During times of plentiful water, they grow fast and will have wider rings. 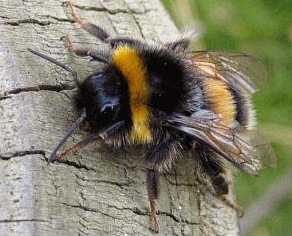 A new study shows that agricultural pesticide use is killing worker bumblebees and impairing their ability to gather food, which means colonies vital for plant pollination are more likely to fail where pesticides are used. The British study was published in Nature this week. Scientists exposed colonies of bumblebees to the pesticides neonicotinoid and pyrethroid over four weeks at levels similar to what they would experience in the field. "Chronic exposure ... impairs natural foraging behavior and increases worker mortality, leading to significant reductions in brood development and colony success," the University of London study concluded. The United Nations estimates that a third of all plant-based food depends on bee pollination, Alister Doyle of Reuters notes. A 2011 UN report estimated that bees and other pollinators do work that is worth $200 billion a year, and they have been declining in several countries. The study's findings "underscored the importance of wider testing of pesticides" to make sure they won't harm bees, Doyle reports. The University of Kentucky's Appalachian Center and Appalachian Studies Program will be hosting their first Global Mountain Regions Conference from Oct. 25 through Oct. 27. The event is a "transnational exploration and conversation of the shared economic, social and historical challenges that mountain regions face within both national and global contexts," a university press release says. Co-organizer and Appalachian Center director Dr. Ann Kingsolver and co-organizer Sasikumar Balasundaram have pulled together experts in a broad array of topics, and hope discussions can reveal what mountain regions across the world have to offer each other and the global community as a whole. Each session of the conference will pair one expert from Appalachia with one from another region, including Ecuador, Wales, Pakistan and China. Topics will include discussion of the perspective of children, the contribution of bees, disaster recovery, journalism and much more. The conference begins on Oct. 25 at 8 a.m. and runs through Oct. 27. All events will take place in the University's W.T. Young Library auditorium. For more information, click here.